Milford Hills - Find plenty of storage in the 2 car garage that is framed for a future room above! MLS#3484107. Allen Tate Center City. Make your appt today to see this great home! MLS#3489012. TMR Realty Inc..
Brittany Downs - Call today to preview this FANTASTIC home! ! MLS#3488674. Monica Poole Realty LLC. Call today to schedule your appointment. MLS#3488732. Premier Realty NC. 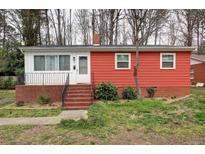 Don't miss this attractive, comfortable and reasonably priced home! MLS#3488595. Keller Williams Concord/Kannapolis. Main house has vinyl siding, replacement windows, hardwood floors, & front porch. MLS#3488802. Wallace Realty. Property being sold as-is but appears to have been well cared for. MLS#3488552. RE/MAX Leading Edge. Don't miss out on this lovely home! MLS#3464014. Wilkinson ERA Real Estate. Miller Chase - Newly built 14 X 14 enclosed out building for storage with open 14 /x 14 lean too. MLS#3486656. Betty S. Grubb Realty. Grace Ridge - Enjoy the amazingly low HOA fees! Great schools, too! MLS#3486721. Keller Williams Union County. Olde Salisbury - This loft area would be great for a playroom, craft room or extra tv room. MLS#3488063. Rowan Realty Ltd.. Call and make this one home today. MLS#3488479. New Pointe Realty LLC. Come see your new home today! MLS#3487870. TMR Realty Inc..
Westcliffe - Very nice storage buildings and workshop. MLS#3487799. Keller Williams Concord/Kannapolis. Court approval on behalf of the Estate is required (see Agent Remarks and Attachments) – call L/A for more information. MLS#3485412. Provident Living Inc.
Crescent Vistas - Kitchen table, sofa, love seat, side table, swivel recliners, breakfast bar chairs, lamps and all art is for sale at reasonable prices to buyer.Custom window treatments convey. Corrected SF 3/25/19. MLS#3480119. Keller Williams Concord/Kannapolis. This home is ready for it's new owners to make it their own! ! MLS#3487114. Genesis Realty Company. The driveway is a shared old alleyway located in the rear of the property. MLS#3486355. Highgarden Real Estate. Country Club Hills - The Country Club is nearby! Schedule your showing today! MLS#3486904. Genesis Realty Company. Home features closed in porch, some hardwood flooring, and circle driveway. MLS#3486413. Genesis Realty Company. BRAUNVILLE ESTATE - Pool Safety Cover Remains With The Pool MLS#3484387. Century 21 Towne and Country. Don’t miss out on the opportunity to call this gem your new home! MLS#3484455. Mark Spain Real Estate.